Yakub Memon is scheduled to be hanged on July 30 at Nagpur Central Prison after his curative petition was dismissed by the Supreme Court on Wednesday. The apex court would hear on Monday his plea for a stay on his execution. Read the LiveLaw story here. Justice Dave had led the Bench which in April dismissed Memon’s petition for a review of his death penalty. It was after this that he had moved a curative plea before the apex court. That petition was also dismissed for lack of merit earlier this week by a Bench led by the Chief Justice Dattu and which also included Justice Dave. However, on June 23, Memon again moved the Supreme Court seeking stay of execution of his death sentence. The court further clubbed an application by the Death Penalty Litigation Clinic associated with National Law University, Delhi. Former Supreme Court judge Justice Markandey Katju today said that there has been "gross travesty of justice" in the case of Yakub Memon. He said, "This evidence is retracted confession of the co-accused and alleged recoveries," alleging it as a very weak stand. “The cooperation of Yakub with the investigating agencies after he was picked up informally in Kathmandu and his role in persuading some other members of the family to come out of Pakistan and surrender constitute, in my view, a strong mitigating circumstance to be taken into consideration while considering whether the death penalty should be implemented,” B Raman(former Additional Secretary, Cabinet Secretariat) wrote in an unpublished article, reviewed by The Indian Express two days ago. Senior lawyer KTS Tulsi said that the government should reconsider Yakub Memon's mercy petition. He added by saying, "I think it (mercy petition) should be reconsidered, he has rendered us valuable help in being able to collect evidence against Pakistan." "He (Yakub) gave us very valuable inputs, which were verified and found to be correct.. The nation should show gratitude to this man for having given us valuable evidence, there seems to be genuine turn of heart in him." The senior lawyer's comments came after Bollywood actor Salman Khan in a controversial tweet said that Yakub Memon should not be hanged as the real culprit is the latter's brother Tiger Memon. The Hindu today published the text of a petition submitted to President Pranab Mukherjee on Sunday by a group of eminent jurists, MPs, leaders of political parties and eminent individuals from different walks of life, requesting him to consider the mercy plea against the execution of the death sentence of Yakub Memon. The signatories include Senior Jurist and Rajya Sabha Member Ramjethmalani. This is a mercy petition for Yakub Abdul Razak Memon, who is scheduled to be executed on 30 July 2015 as per the execution warrant issued by the TADA Court. We, the undersigned, through this petition urge Your Excellency to stay the imminent execution so that the substantive and fresh grounds raised herein can be considered on merits. The universal declaration of Human Rights adopted by the General Assembly on 10.12.1948 defined certain human rights and fundamental freedoms which need to be protected. Among the subsequent human right documents, the most important are the two covenants adopted by the General Assembly in 1966: The Covenant on Civil and Political Rights and its Optional Protocol and the Covenant on Economic, Social and Cultural Rights. India became a party to both these covenant by ratifying them on 27.3.1979. There are two optional protocols to the covenant, the Second Protocol aims at the abolition of death penalty. 1. Every human being has the inherent right to life. This right shall be protected by law. No-one shall be arbitrarily deprived of his life. 2. In countries which have not abolished the death penalty, sentence of death may be imposed only for the most serious crime. 4. Anyone sentenced to death shall have the right to seek pardon or commutation of the sentence amnesty or commutation of death may be granted in all cases. The President of India under Article 72 of the Constitution of India has the power to grant pardon and to suspend, remit or commute sentence in certain cases. It is in this way the constitution of India permits right of appeal. Sub-clause of Article 6 of Part-III of the Covenant as referred above provides that commutation of sentence of death may be granted in all cases. In the circumstance, we will have to understand as to why “may” has been used for commutation of the sentence of death to be granted by the President. The Hon’ble Supreme Court of India in Deewan Singh Vs. Rajendra Prasad Ardevi (2007) 10 SC 528 while interpretating “may” where powers is conferred upon a public authority coupled with direction, the word “may” which connotes direction should be constitute to mean a command. In India this power of pardon is to be exercised by the President and therefore under no circumstances for empowering the President the word “shall” could have been used in the covenant but it means a command i.e. commutation of sentence of death must be granted in all cases by President, till such time Parliament of India decides that it will continue the penalty of death sentence. After signing of covenant, the Parliament of India has not considered any amendment in the Indian Penal Code for abolition of death sentence. As regards covenant we may submit that a covenant is a treaty and it lays down a notable step forward in the protection of human rights within the framework of the United Nations and constitutes the basic provisions of International Bill of Rights. The two covenants also demonstrate the way in which the United Nations is overcoming its earlier hesitations about the enforcement of human rights obligations. It is almost an accepted provision of law that rules of customary International Law which are not contrary to Municipal Law shall be deemed to be incorporated in the domestic law. The plea of enforceability of various International covenant is now no longer a matter of debate but should be considered to be firmly established as a part of international law which the domestic courts are duty bound to give effect to. This Mercy Petition satisfies the legal requirements applicable to a fresh mercy petition as per G. KrishtaGoud v. State of A.P., (1976) 1 SCC 157para10 and clause VII-(A) of the Procedure Regarding Petitions for Mercy in Death Sentence Cases, Ministry of Home Affairs, Government of India. Yakub Memon was not given advance notice of the death warrant hearing and as a result of which he and his lawyers could not participate and contest the issuance of the death warrant. Lack of hearing makes the present death warrant void in light of the Supreme Court decision in Shabnam v. Union of India &Ors, Writ Petition (Criminal) No. 88 of 2015 (decided on May 27, 2015). Following are some very disturbing aspects of this case which make the award of death sentence of Yakub Memon as grossly unfair, arbitrary and excessive. Yakub Memon has served more than 20 years in prison since his arrest. His trial took 14 years to complete. While the Hon'ble Supreme Court used this long period of incarceration as a mitigating circumstance to commute the death sentences of the other 10 co-accused persons, it applied a different yardstick to Yakub. The Hon'ble Supreme Court has repeatedly held that lengthy incarceration during pendency of appeal in death cases is a significant mitigating circumstance which ought to be considered in determination of sentence. In the interests of justice we request you to give due importance to this. The government to that extent is not bound by the conclusions arrived at by the Supreme Court (See Shanker v. State of U.P. (1975) 3 SCC 851; Vivian Rodrick v. The State of West Bengal (1971) 1 SCC 468);Kehar Singh v. Union of India(1989) 1 SCC 204para 10. Yakub Memon has been suffering from schizophrenia for the last 20 years which makes him unfit for execution. His mental condition has been certified by jail doctors. Schizophrenia as a mental illness has been held by the Supreme Court (Shatrughan Chauhan v. Union of India, (2014) 3 SCC 1 para 86-87) to render a convict unfit for execution. Your Excellency is required to consider the mental health of a convict before deciding his mercy petition, and can summon his medical records from the prison from the time of his arrest. As per the case of the prosecution, the 1993 bomb blasts were orchestrated by Tiger Memon and Dawood Ibrahim to seek revenge for the demolition of Babri Masjid in Ayodhya(YakubMemon v. State of Maharashtra, (2013) 13 SCC 1 para 148, 1253). Both Tiger Memon and Dawood Ibrahim have been absconding and Yakub, brother of Tiger Memon, who was not the main actor in the conspiracy is being executed. The TADA Court convicted 100 persons and awarded death penalty to 11 persons. 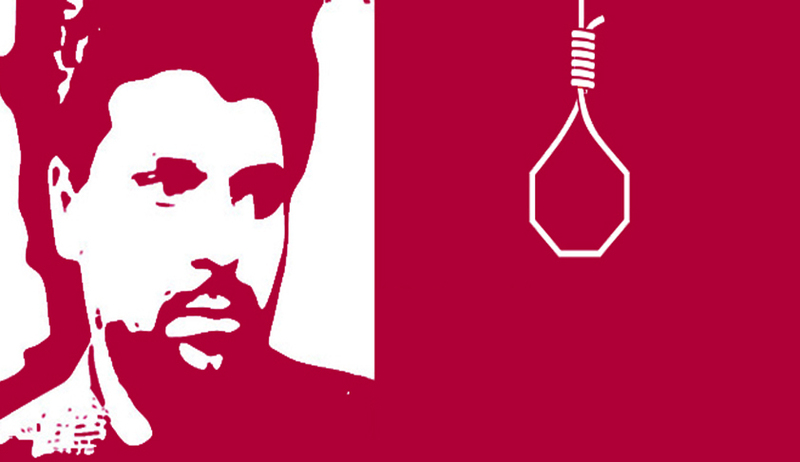 In appeal, the Supreme Court commuted the death sentences of all the convicts except Yakub Memon. In comparison to Yakub Memon, the 10 co-accused persons whose death sentences were commuted planted the bombs themselves and played a much more critical and direct role in the actual execution of the bomb blast conspiracy. Several of whom even travelled to Pakistan for arms training. This shows Yakub Abdul Razak Memon who is facing an imminent execution only on account of being Tiger Memon's younger brother. Unlike the main accused, Yakub Memon surrendered before the authorities, a fact which has been confirmed on July 24 by the then officer in charge of the entire operation, Shri B.Raman. Yakub Memon is the person who has provided information about Pakistan involvement. His execution will weaken the case against the involvement of the Pakistan agencies as there are no other witnesses available. It is also worthwhile to note that death sentences imposed on the aides of Veerappan (convicted and sentenced to death under TADA), Rajiv Gandhi killers and Devender Pal Singh Bhullar have been commuted recently by the Supreme Court. While the mercy petitions of Verappan's aides, Rajiv Gandhi's three killers and Devender Pal Singh Bhullar were decided belatedly by the President, thereby giving them the claim of delay jurisprudence, the Home Ministry has moved swiftly to reject Yakub Abdul Razak Memon's mercy's petition. It seems that subjective factors are the basis of decisions which lead to arbitrary actions. Yakub Memon has been tried and sentenced to death under TADA, a special law which was repealed by the Parliament on account of it having been used to target the minorities. The Supreme Court in Vijaykumar Baldev Mishra v. State of Maharashtra, (2007) 12 SCC 687para 30 also doubted the legality of prosecutions pursued after the repeal of TADA. Given the highly compromised rule of law credentials of TADA, executing Yakub Memon will perpetuate the dark legacy of this law. forgiveness, and justice. Blood letting and human sacrifice will not make this country a safer place; it will, however, degrade us all. Adv. Flavia Agnes, Director, Majlis Legal Centre, Mumbai. Priya Pillai , Environmental Activist , Greenpeace India. Radha Khan, Freelance development consultant.